There are five sponges lying on your kitchen counter. Each member of your family has been cleaning up different areas of your home, but all the sponges look the same. You are curious as to what was cleaned, but you can't tell by looking. They all look the same. So, what do you do? As you squeeze the first sponge, you see that cola comes out, and you decide that someone cleaned the kitchen with that one. Upon squeezing te second sponge, you find tub and tile cleaner. That one was used in the bathroom. In the third sponge you find motor oil. Someone cleaned the garage. In the fourth sponge, baby powder puffs out. The baby's nursery was cleaned with that one. In the last sponge is floor wax. That was the one you used on the hall floor. As you lay each one down, you look again at their similarity. They all look the same until they are squeezed. Christians are the same! As life squeezes us, different things come out: anger, revenge, tears, remorse, greed, untruth, lust, and finally from the one saint pours forth the love of Christ. 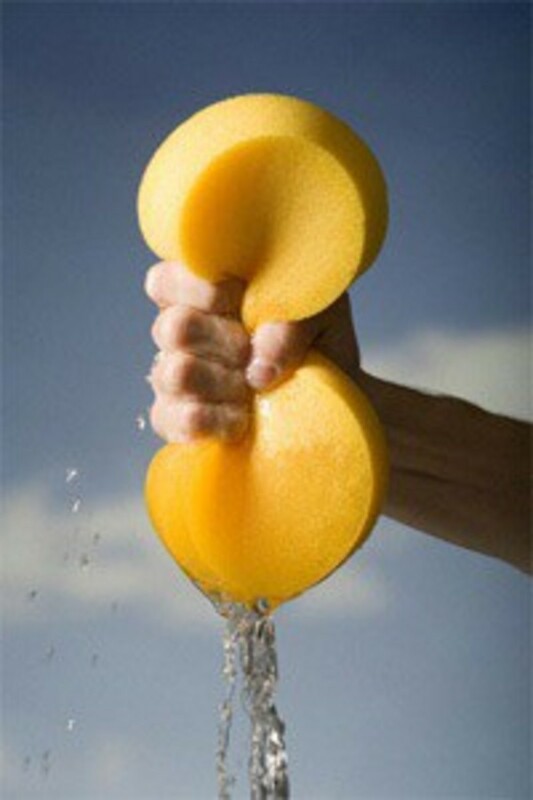 Just like the sponge, we can only squeeze out what is put in. Stay in the Word daily and be in continuous prayer so that when life puts the squeeze on you, Jesus, and Jesus alone will shine forth. As you think upon this, ask yourself, if I was squeezed, would Jesus and Jesus alone shine forth? Thank you Ginny for sharing this with us.